Apple’s iCloud Web service has been treated to one or two housekeeping updates, including an all-new zoom feature and, more notably, the ability to send photos through email à la iOS. Full details after the break. iCloud is one of those services that, the more you use it, the more familiar it becomes. Apple has been constant in its refinement of the Web feature set, allowing users to alter settings and manage devices / machines with consummate ease, and has apparently made a few more adjustments over the past day or so. 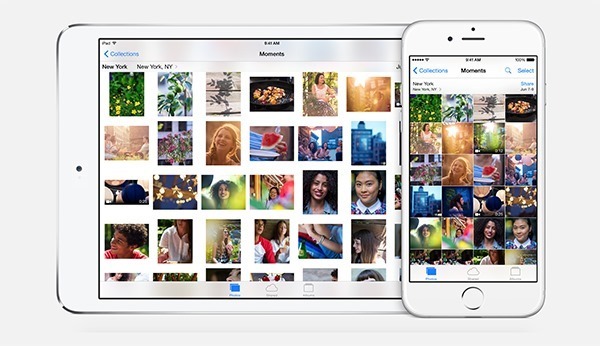 It was only a couple of months back that iCloud.com saw its last significant update, one that focused on the Photos app, and again, the sharing of images seems to be the order of the day here. With the likes of Instagram at the height of popularity just now, Apple recognizes how important it is that consumers have a secure means to store and manage their snaps, and although last year’s celeb photos scandal wouldn’t have done its or iCloud’s image any favors, the service as a whole continues to improve in terms of functionality. As well as permitting users to send photos via email right from iCloud.com – an extension of the last update that permitted uploading to the iCloud Photo Library – Apple has also added a neat little zoom feature. Located on the toolbar, it lets you get a closer look at photos stored within your library, and whilst it’s nothing particularly revolutionary by any stretch of the imagination, it’s a nonetheless welcome improvement. There’s a really streamlined and fluid feel about iCloud.com in general, and whether you’re in ownership of a Mac, and iOS device or a whole collection of Apple gadgets, it will surely now be serving as a major part of your digital diet. With talk of the Retina MacBook Air and Apple Watch in the pipeline for release over the next couple of months, it’s easy to get carried away in anticipation of the hardware. But iCloud.com is the platform that bridges the gap between a user and all of their devices, and if, like seemingly everyone, you’re massively into your photo taking, sharing and viewing, then head over to the site right now and have a gander at the new features. This will automatically add all the best Cydia Sources and give you access to all the best Cydia Tweaks, Themes and Apps for with just a push of a button. Follow the steps below. This will give you all the best Cydia Sources which in turn gives you access to all the best Tweaks, Apps and Themes.